[UPDATED 11/9/09] Important Reminder: The second “100 Articles in 100 Days Marathon Challenge” officially came to a close at 11:59PM CDT Sunday, November 8th. Those who believe they have met the challenge requirements for any prizes must send a prize request via email to hahd@ezinearticles.com prior to Monday, November 15, 2009. All articles must be submitted under the same author name. Articles from multiple author names may not be combined. A minimum of 100 articles must have been submitted between 12:00AM CDT Saturday, August 1st and 11:59PM CDT Sunday, November 8th. Qualifications will be verified and prizes will be shipped no later than November 27th via USPS to the postal mailing address listed in the member profile and to verifiable postal mailing addresses ONLY. 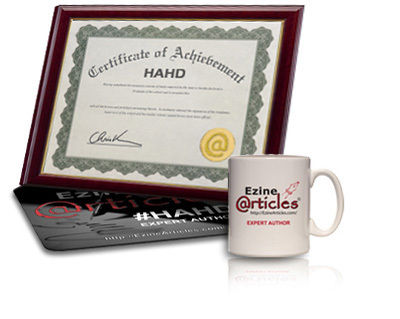 All qualifiers will receive a FREE downloadable #HAHD Certificate of Achievement (frame not included). All “First 100 Qualifiers” slots have now been filled for this challenge. If you didn’t qualify, don’t despair – the 3rd #HAHD Marathon Challenge begins January 1st, so start planning those articles now! There’s a big problem I just noticed. Members who are at BasicPlus and want to submit more articles to complete the 100 articles over the weekend CAN’T because you guys won’t be working during the weekend. This is a major problem. Any idea how to fix this so that we can submit unlimited articles to complete the 100. This is VERY important. Please help! Keep writing your articles and save them for Monday when we review your account. Once your account is reviewed, you can then begin to submit. We review accounts for upgrade everyday so it won’t be long before the account is reviewed. Thanks, Penny, for this. I will be putting together the articles, then. Thanks again. I really want to make the HAHD this time! I also have this problem. I have just exhausted my BasicPlus allowed submission – live articles 40 and pending articles 15, yet I want to complete the 100 by this weekend. Please upgrade so I can submit more articles. It is definitely a good idea on organizing more of these HAHD events more often so that it will motivates more of the authors to write more articles. I was just wondering how many articles it takes to be in the top 100 for the most articles submitted during the challenge. I want to make sure that I qualify for the drawing. It would be great to win a one year Premium membership. We can’t answer that question until the 15th when we close the window on prize requests. At that time, we’ll determine who were the top 100 submitters who also emailed a prize request. No problem. I was considering spending a bunch of time this weekend submitting articles to make sure that I was in the top 100. However, I decided to just leave things and save some articles for the next hundred days challenge. I submitted my prize request almost a month ago and have submitted over 300 articles during the challenge. Just out of curiosity, is there going to be a 3rd #HAHD Challenge? If so, when does it start and finish? January 1st 2010 at 12:01am CST the next begins and it ends 100 days after that. Details to be released in December. We’ll draw the winners early next week. Watch the Blog and your email for announcements. I was just wondering if the draw of winners has been completed and winners announced? Because, I had submitted the completion email pretty early for one of my pen name and I am quite sure that I should be among the first 100 qualifiers. As I type, the award mailings are being sealed and will be shipping this week. The email notifications should also be going out today or tomorrow – we wanted to wait until all pending article approvals were complete before notifying the qualifiers. For “First 100″ qualifiers, this email will contain details on Chris Knight’s private teleseminar to be held Friday, December 4th at 11:00AM CDT. You’ll be seeing your FREE certificate of achievement appearing in your Member interface sometime soon as well. Finally, if you’re one of the lucky recipients of a FREE 1-year Premium Membership, you’ll be getting another email this week.